Photography is a passion, not a job and I work hard to inject that passion into every photo I take. Through my lens I see laughter and joy, bonding and love, visions of dreams, hope and happiness. These are the moments I capture as your photographer to create memories that last forever. Specialising in Portraits; Family and Newborn, Weddings and Engagements, Sports; Team and Action. Please Browse our site using the navigation bar above and if you have any questions or comments don’t hesitate to contact us. My name is Kerryn and I am a Photographer, Wife and Mum. I love life, I love people and I have been truly blessed to meet and capture thousands of people in over 10 years of my photography journey. I smile constantly behind the camera, my cheeks hurt after a wedding, I love capturing such amazing moments in time knowing you have them forever. The Moments you’ll always treasure. The people you’ll always love. The things you’ll always cherish. The joys you’ll always smile about. "Kerryn was fantastic on our wedding day. Not only did she take some amazing shots but she made us feel so relaxed and was lots of fun to be around! 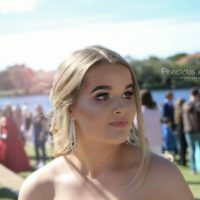 We could not have been happier with our choice to have Kerryn photograph our special day and I’d highly recommend Precious Moments Photography for your next event." 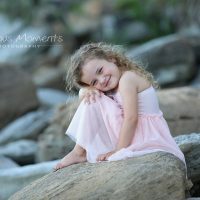 "We have had the pleasure of using Kerryn over the last 10 years capturing our children as they grow. The service is wonderful the kids just loved her I found the whole time to be a really enjoyable and fun experience. Kerryn managed to capture our children's personalities beautifully, images we shall cherish forever. 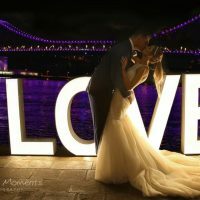 If you're looking for a friendly professional photographer give Kerryn a call. I have no hesitation in recommending her." 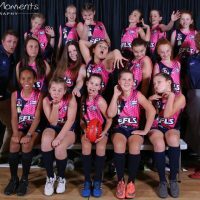 Kerryn has been photographing sport action and providing Team Photo’s for many large and smaller Sporting Clubs ongoing and new for more than 10 years. She specialises in both sports team and action photography. We not only specialize in weddings and portraits, we are your photographer for hire for all your photography needs. From Birthday Parties to Commercial Photography, Special Events, Real Estate, Graduation, Photo Restoration and more we'll capture all of your Precious Moments professionally. We had the absolute pleasure of having Kerryn from Precious Moments photography take our family photos. She chose the most amazing location to do our shoot & captured the moments perfectly. I will be forever grateful that she insisted we also include our little dog who has since passed on. She was able to capture our family dynamics perfectly with all the amazing photos that she took. Having a background in teaching, she was incredible with our children. With a happy and relaxed atmosphere she was able to capture what in all of our minds was such an incredible day and an amazing experience. I would highly recommend Precious Moments Photography to anybody considering having their family, wedding or special occasion captured. Kerryn is relaxed, professional & will go out of her way to more than meet your expectations. Kerryn did an amazing job at our wedding, very relaxed and captured some amazing moments! Would recommend her to anyone for any photo shoot event. "Seriously THE BEST photographer! Never ceases to amaze us with her work. Not only has she captured the most beautiful photos of our wedding day but has also captured our new born twins! The photos are absolutely gorgeous to say the least! We'll be seeing you again for their 1st birthday 😀 thank you Kerryn." We went today for a mini. Andy normally very moody 3 year old was giving out smiles left right and centre. Thanks for making my girls feel wonderful and happy in your lovely little set up. Kerryn photographed my twin boys for their 2017 daycare photos and I couldn't be happier with the result. She has a natural ability to make babies and children feel comfortable, happy and excited for photos. Thank you, Kerryn! We will be booking Precious Moments Photography for photoshoots in the future.